iOS is a mobile operating system developed and distributed by Apple Inc. It was launched to be the official operating system of the iPhone in 2007. Then, it was given the name OS X, of the same name of the software that ran on the Apple MacBook. But later it was called the iOs. 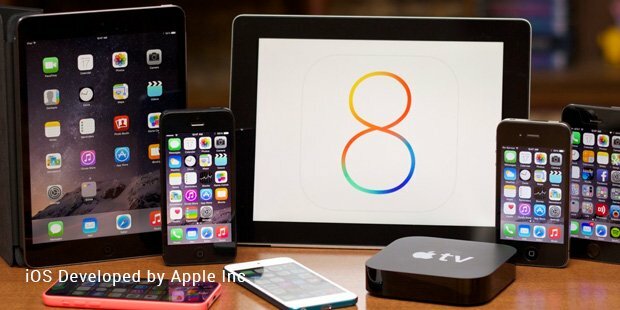 Now it runs on iPhone, iPod Touch, iPad Mini and Apple TV. iOs is restricted to only Apple hardware and cannot be installed on any other device. As of August 2013, the Apple’s App Store contained more than 900,000 applications for iOS. These apps have been downloaded more than 50 billion times. In October 2013, iOS 7 was released which has the latest features compatible with iPhone 4 and newer phones only. The user interface is based on the principle of direct manipulation. It uses multi-touch gestures including elements such as swipe, pinch, reverse pinch and tap. All these instructions have specific definitions in the context of the iOS operating system and its multi-touch interface. The shaking of the device has specific responses. It is used for giving the undo command or simply changing the screen from portrait to landscape mode. The iOS versions are regularly updated and released for downloads. The latest iOS versions are mostly released on iTunes from where it can be easily downloaded. The home screen also known as the spring board displays the applications icons and also gives a dock at the bottom where they can pin their favourite icons or the most used ones. The screen has a status bar on top showing the battery power, service provider, signal strength and time. The home button can be used to return to the home page when we are in the middle of an application. For security, passcode can be set. Only after entering the right pass code at the lock screen can one access the home page. Also there is a Spotlight Search function added which can be used only on iPhone 3G or newer phones. This allows for the user to search for reminders, messages, music, contacts by just entering the keyword. We can also now set an image as a background image on the home page. Now in the latest iOS 7, there is a feature called Contol Center that allows us to access many options like airplane mode, WiFi, flashlight, clock, media controls from the home page itself. Also we can create folders in iOS 4 onwards that allows us to store more and more number of apps inside it so that it doesn’t clog the home screen. From iOS 5, all the notifications reach a window that can be dragged down from the top of the screen. So touching the notification will open the application automatically for us. Also there are default apps that we can use or restrict if we don’t like to use it. There is a utilities folder where we can find functions like compass, voice memos and contacts. From iOS 4, the multitasking option was added. This allowed for music, videos to be played while using another application. Also it was able to suspend the applications when a call is in progress, local notifications are scheduled to be delivered at a pre-destined time. The photo and video options are good allowing for panorama photography. The default browser is Safari, but you can choose the one you like. It has WiFi and Bluetooth connectivity that works well in every surrounding. It also has Siri which has been well updated in the iOS 7. Siri is a personal assistant software which searches and brings information to you. You only have to use spoken commands. It can also do things like setting an alarm, text or call someone, open an app or answer general knowledge questions. 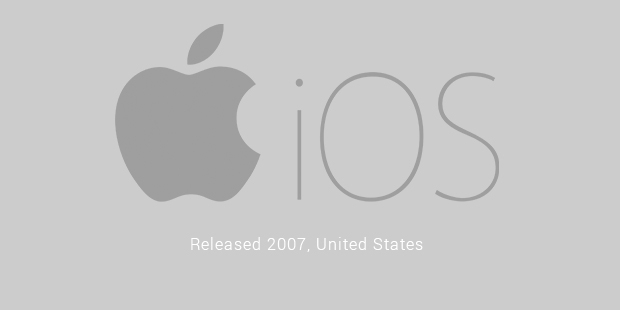 The iOS 4 update onwards the operating system also boasts of the Game Center which allows for users to invite friends, play multiplayer games and share high scores. By June 2012, iOS accounted for 65% of mobile web data consumption. There were more than 400 million devices using iOS by the middle of 2012. By the end of 2011, iOS accounted for nearly 60% of the market share for tablets and smartphones combined. The features of the iOS operating system are trend setters. Apple constantly tries to upgrade them and release updated versions. Now even with the release of iOS 7 there are many flaws that need to be fixed. Soon Apple will need to give an update solving all the major complaints that customers faced. 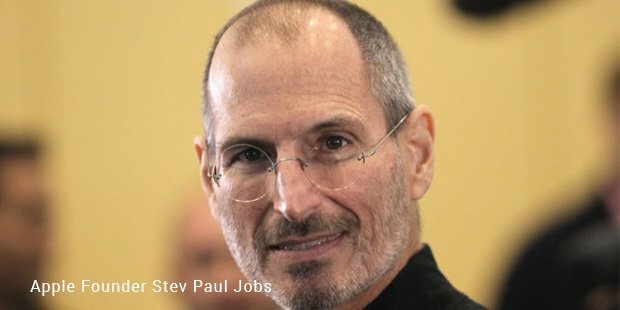 But it is important to note that before Steve jobs initially resisted third party apps. But today there have been more than 18 billion downloads in the Apple AppStore for the iOS platform. From its launch in 2007, the iOS has come a long way. Today smartphones and tablets are used in the workplace to make communication better and improve its daily functioning. So iOS has played an important role of making lives easier for each of its customers. Today its growth is testimony to the effort its puts making mobile computing easier day by day.